Do you ever see a polish and feel a sudden and complete need to go get it, only to discover that it is limited edition, discontinued, or otherwise unavailable? This polish was one of those for me. It is part of the wildly popular Michael Jackson-inspired collection from Colors by Llarowe. It took me more than a year after seeing the first swatches to actually get my grubby paws on it. Luckily for me, Llarowe re-released the MJ collection a few months back, and I finally had my opportunity to pounce on this polish. 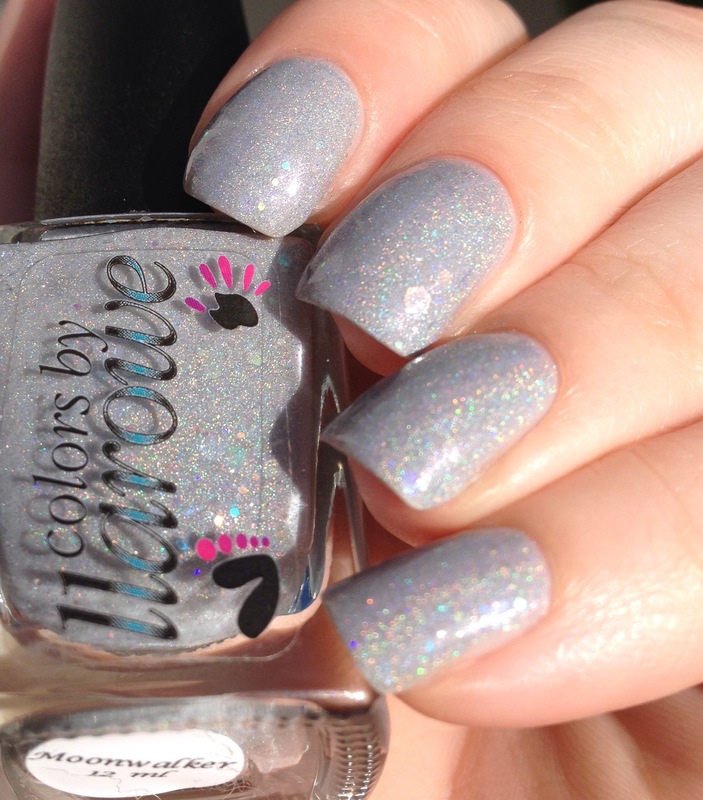 “Moonwalker” is a gray (ever so slightly on the blue-gray side) holo with different shapes of iridescent glitter. 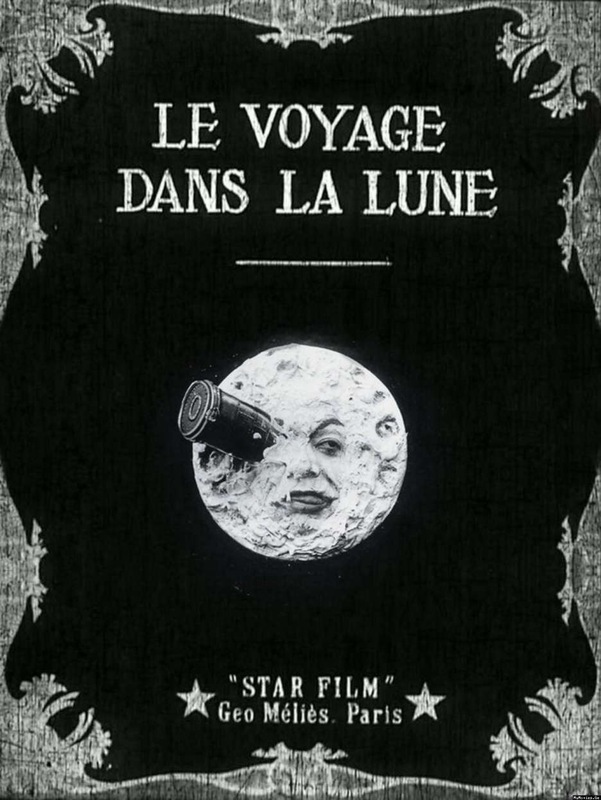 The effect reminds me of what early 20th century movies depicted the moon as (don’t ask why, it just is). I jus love the way that the glitter peeks out from behind the holo. It looks lovely in all lights. This is two coats plus top coat. My bottle is a bit of the thick side, but I suspect that’s got more to do with my storage and less with this particular polish. Removal was…as expected for a glitter (ie not entirely pleasant). It may be slightly difficult to get ahold of this polish, but it was certainly worth the hassle for me. In the meantime, you can always check out CbL’s core line and new collections at Llarowe’s website. I shall leave you with a shade picture that really shows off the glitter. cbl has some amazing colors. This one is gorgeous!!!! I love greys! This is lovely! I love greys! They’re so underrated. I love it and I can see why you do too! I’m a huge fan of grey polishes. Wow…I love the subtle glitter in this–truly stunning. Such a pretty colour! I’ve found CbL polishes to be thick in general, so I don’t think it is just this one. Just gorgeous! Love how those iridescent glitters look with the gray! This is gorgeous! I loved this collection! Wow what a pretty lavender! I love the addition of the iridescent glitters. Piece-y glitters in holos get me every time!! Gorgeous swatches of Moonwalker!